I whipped up about 6 of these in no time....well hardly any time. I stamped and coloured the flower. 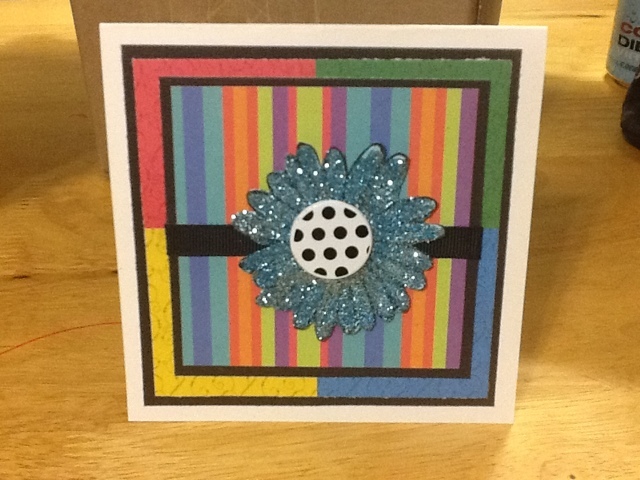 After all the ink was dry I covered the flower with tombo mono and glitter that matched. Using scraps I matted some patterned paper and put a band of ribbon around the card....voila a quick set of retro cards ready for any occasion!